This "war story" was submitted by Stephan P. Zacharias, grandson of SSgt David P. Spears, KIA 24 July 66 in the Ia Drang Valley. SSgt Spears was the "Chief of Smoke" for "B" Battery. He was an "original" - he came over from Hickam Air Force Base as part of the 3rd Brigade, 25th Infantry Division's deployment to the Central Highlands of Vietnam in December, 1965, known as "Operation Blue Light". SSgt Spears was one of the "pioneers" for many redlegs to follow. Rumor has it that all the men of "B" Battery, 2/9th FA, tell the same story. As any graduate of Ft Sill, Okla, knows, a 105mm battery consists of six (6) howitzers. Yet "B" Battery only had five (5) howitzers. They're not easy to confiscate nor embezzle, so it begs the question...what happened to the #6 howitzer? Apparently, "B" Battery was dissatisfied with the performance of one of the cannons and had asked to have it replaced. Their request for a new one was denied several times. 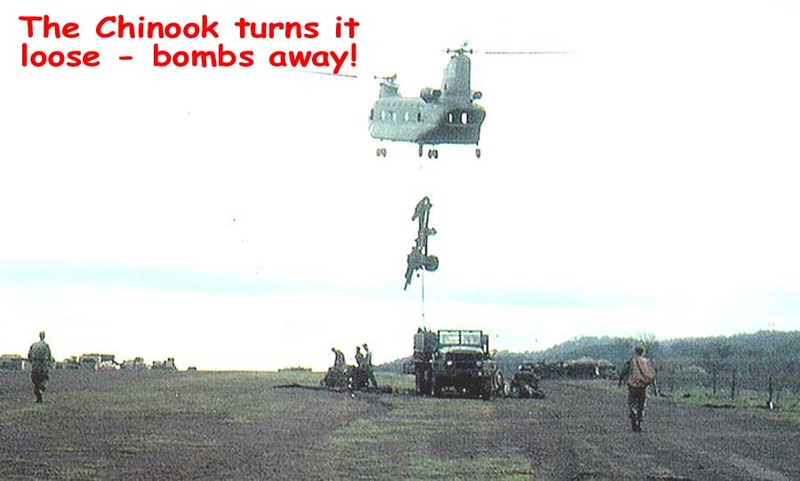 So...the story goes, "someone" decided to order it lifted by a Chinook and dropped back to the ground. This would surely put it out of commission and force the issue of replacement. The photos above lend some credence to the story, but we do know that "B" Battery was in service for a time with only five howitzers. 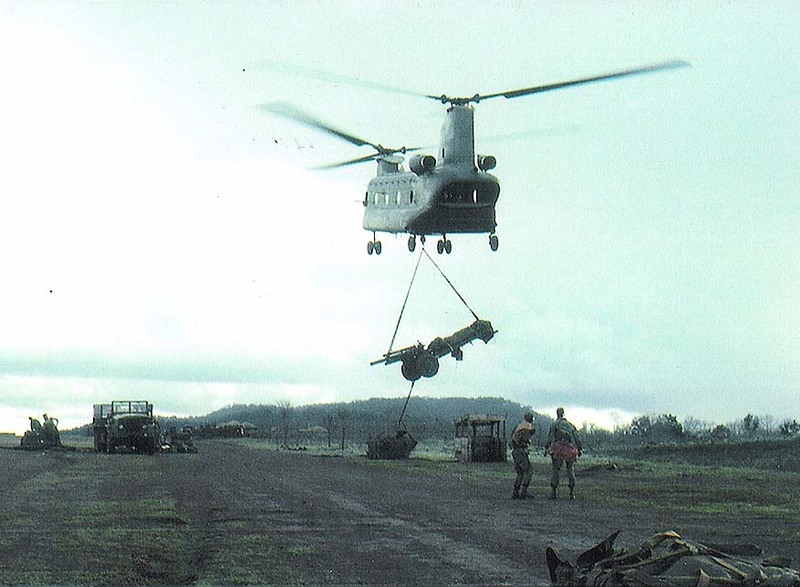 Wonder how long that requisition floated around the US Army's logistics system? One of six howitzers remained back in Base Camp in order to create a gun section there. Thus, it left us, "B" Battery, with 5 howitzers in the field. the gun crews would take turns rotating from field to Base Camp for some "in country" R&R. But, the FDC did not rotate! So, our Battery stayed in the field all the time and the gun sections were rotated to Base Camp. 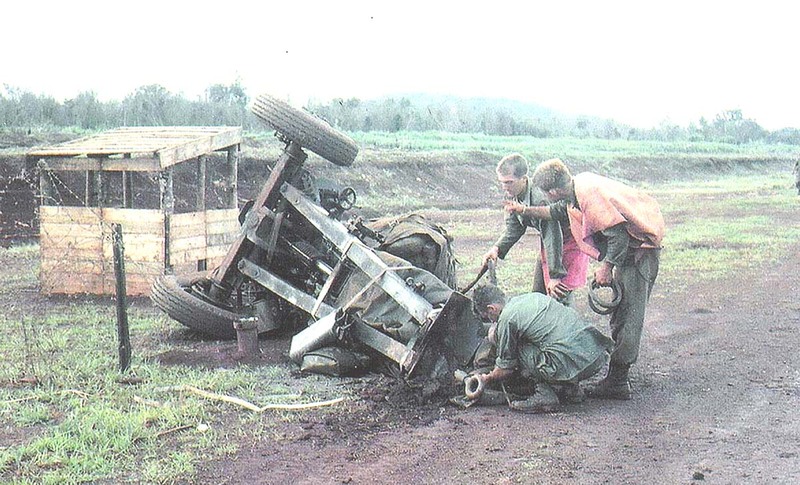 This all occurred early in the deployment to Viet Nam and stayed this way for my whole tour.